Plan to attend the Multi-language Book Fair on Thursday, April 3rd! This free event, sponsored by the Westchester Library System, will take place at the White Plains Public Library, 100 Martine Avenue, White Plains from 11:00 am to 4:00 pm. No registration is necessary. The Fair will showcase materials in Spanish, Arabic, Chinese, French, Hindi and Japanese. Peruse and purchase adult and children’s titles of fiction, non-fiction, audiobooks and DVDs as well as electronic material. Remember, a personal contact with a book distributor will provide direct access to acquiring material in a specific focus, subject genre, or format to better reflect your multi-language community. Other activities include local food tasting; song, poetry and dance; and free raffles. Be sure to sample the multicultural cuisine from the countries represented! Food provides a wonderful way to introduce and share culture. Parking is available in the parking garage underneath the library. The fee is $1 per hour and may be paid at the pay stations in the garage or the library lobby. Westchester County, NY (March 6, 2014) – The Westchester Library System (WLS) will hold its 23rd annual Book & Author Luncheon on Friday, April 11th at CV Rich Mansion in White Plains, NY. Sponsored by Entergy and TD Bank, the event celebrates National Library Week and the theme Lives Change @ Your Library. 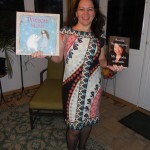 The luncheon features talented authors Josh Hanagarne, a librarian and Randy Lewis, former senior executive of Walgreens who write about turning points that have changed their lives. The National Library Week Recognition Award will be presented to Adam Kintish, Senior Vice President, TD Bank for the bank’s local and national initiatives that support literacy and summer reading. Josh Hanagarne fell in love with Fern from Charlotte’s Web at the age of six. Every day since, he has enjoyed reading more than eating, sleeping, and breathing. Today the 6’7″ Hanagarne is an author, speaker, performing strongman, and, despite having an extreme case of Tourette Syndrome, he works as a public librarian in Salt Lake City Utah. 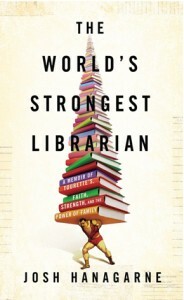 His memoir, The World’s Strongest Librarian, is his first book. Randy Lewis bet his career that he could create an inclusive workplace at one of America’s biggest corporations where people with disabilities could not just succeed, but thrive. 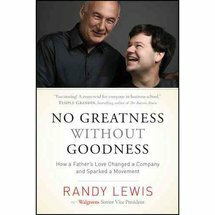 No Greatness Without Goodness is the powerful story of a corporate executive who, after watching the world through the eyes of his own child with autism, Austin, realized that we all have a greater responsibility to make the world a better place for everyone, including those with disabilities. As the Senior Vice President of Walgreens, Randy Lewis has created thousands of full-time jobs for people with disabilities. Please click HERE for more information or to register for this event. The Westchester Library System is located at 540 White Plains Road, Suite 200, Tarrytown, NY 10591. 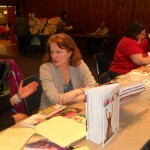 For a complete list of programs and events throughout the Westchester Library System, visit the WLS website at www.westchesterlibraries.org. 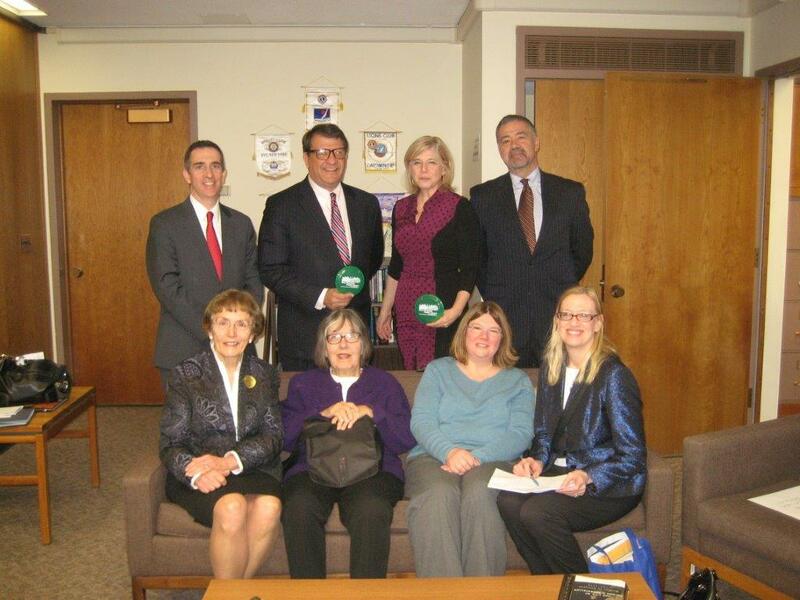 A group of 14 library supporters from Westchester drove up to Albany to join the New York Library Association’s (NYLA) Library Advocacy Day on Wednesday, February 26. This year Governor Cuomo’s proposed Executive Budget for FY2014-2015 included $81.6 Million in Library Aid, an amount which reflects levels from 1996. Library visits have increased 46% since 1996, and libraries have been keeping pace with the technological changes and information needs of their communities. Additional funding is necessary as libraries continue to expand their role to provide workforce development resources and provide essential portals, along with guidance, to the increasingly important world of digital information. In addition, users from the libraries noted below signed a letter of support calling for a 4% increase for Library Aid (same as the increase proposed for School Aid). 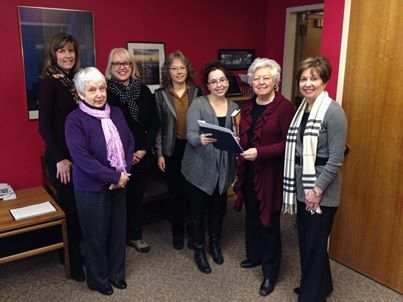 A total of 971 signatures were collected and the signed letters of support were delivered to the Legislators. A special thank you is due to this year’s great group of Library Advocates. All contributed in some way—sharing insightful success stories from their libraries, taking pictures, driving, writing, tweeting, participating. Thanks to those who signed on in support of library funding and to those who sent messages to their legislators via other means. And special thanks goes to New Rochelle Public Library for providing this year’s transportation to Albany! Meanwhile, libraries will continue to provide the essential services that are an investment in New York’s educational and cultural infrastructure, shaping a brighter future for all New Yorkers.